This park is wonderful.The facilities are exceptional. The hook-ups, bathrooms, laundry, pool/hot tub & store are all in excellent condition. They are clean & in great working condition. The park is covered with fully grown trees for shade & all sights are pull-thrus. I would recommend this park to anyone that is tent camping or driving a diesel pusher. The hosts are extremely friendly & aiming to please. We're so glad that you enjoyed your stay at our park. We work hard every day to ensure a good experience for our campers. Reading a review such as yours makes it all worth while. We hope to see you again some day. We are traveling across Canada and this was our 6th campground and absolutely the best. It is nice, small and cosy but more importantly, the restrooms and showers are the nicest and cleanest we have seen to date. The laundry facilities worked and were also clean. It has a nice mix of sites which are an average size but quite suitable. Very impressed with this property. Nice large pretty level sites. Internet works well. Well treed. No circuit breakers at the site. We only spent one night here. It was quiet and well laid out. Okay, not so quiet when all the birds were singing. It is right off the highway so convenient for people travelling through. We may stop in on our way home. hidden gem. 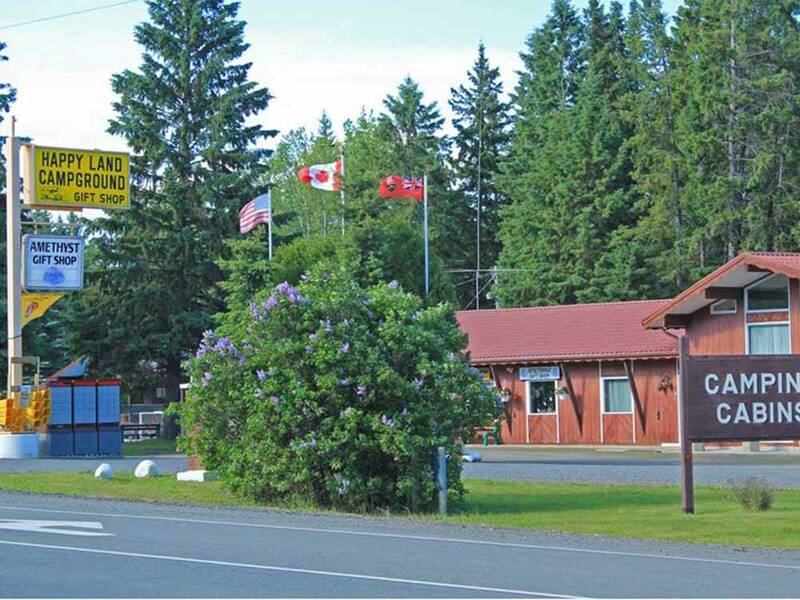 Nice large sites with trees and grass, good hookups, easy big rig access, friendly check in. I like this campground.